In addition to JavaOne, BitRock founder and CTO Daniel Lopez Ridruejo will be giving a talk on BitNami at WhyFLOSS Madrid, a Spanish conference on open source software. If you're not familiar with it, the BitNami project provides popular web applications such as DokuWiki, Drupal, Joomla! and Wordpress in self-contained, easy to install packages. With BitNami, even non-technical users can get BitNami application stacks up and running on Windows, Linux, OS X or Solaris in just a few clicks. 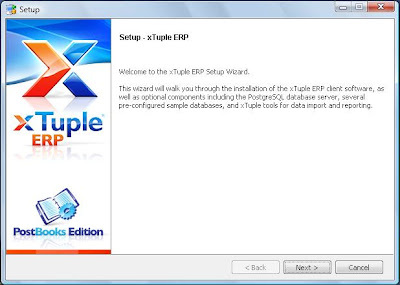 BitNami also includes several development stacks for Rails, WAMP, JRuby and more. The WhyFLOSS event is being held in Madrid on May 21st and registration is free, although all of the talks will be in Spanish. BitRock will be exhibiting and demoing InstallBuilder, our cross platform installer development tool, at JavaOne, and you’re invited! 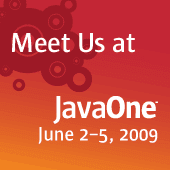 If you’re not familiar with JavaOne, it is one of the leading events for Java developers. Held June 2-5 at the Moscone Center in San Francisco, it offers attendees an opportunity to hear from industry leaders and other technology experts – those programming directly in Java(TM) technology and those looking at it from new perspectives including scripting, RIA, open source and more. A wide range of sessions give developers a chance to get hands-on experience with Java and related technologies. To sign up and get $100 off of your full conference pass, visit: cplan.com/javaone2009/externalregistration/reg.html and enter the code EXHBCEK5. If you do attend the conference, be sure to drop by the BitRock kiosk to enter our drawing for a very cool prize!